Additional Description: Four artillery pieces - two James rifles, a 6-pdr Field Gun, and a 12-pdr Field Howitzer - represent the battery at this location. The howitzer is just out of view to the right in this photo. 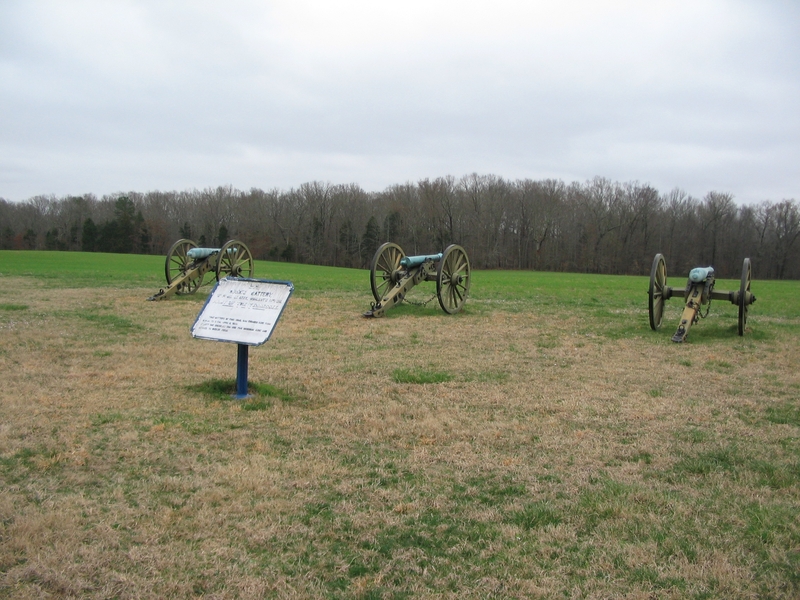 The battery engaged Confederates massed in the tree line south of this position, aiding the defense of the Peach Orchard sector.